Initial vaccination for German Shepherds? Total German Shepherd: Good question. I'm glad that you asked about vaccinations because a lot of people take this for granted all together and way too many dog owners under vaccinate their dogs opening the way for so may preventable diseases. There are many thoughts on the best schedule for vaccinations for dogs but I do have some information all about this on this page about puppy vaccinations. 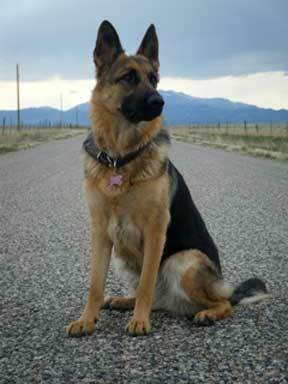 I suggest that you check this vaccination information out for one plan on getting your German Shepherd vaccinated. Also, I suggest that you ask your local veterinarian for their thoughts on the topic of vaccinations as well. Good luck.